Receiving bookmail: most of my bookmail is in the form of preorders I’ve purchased for myself but once in awhile I’ll receive a coveted arc or a surprise from a friend. Any kind of bookmail is good bookmail! Uninterrupted reading time: There is nothing better than a rainy day when you can stay cozy with blankets and a good book inside. I love reading by the pool or at the beach on a warm, sunny day too! Talking about books with friends: it is SO much fun to be able to gush about books with other bookworms! I love talking with Twitter acquaintances when I see them reading a favorite, or getting recommendations from a friend, or mutually flailing about some awesome reading experience. There’s always something to talk about when you read a lot! Book mail: I don’t think book mail could ever get old. It’s such a great thing to come home to after a day full of BLAH work. Isn’t it?! I save certain books for times I know I can sit down and read for a long time. Doesn’t happen often haha. I always feel like I have something else I need to be doing. Fellow rainy day reader here too! :-) I get too conscious thumbing through the pages with my sweaty palms, when it’s too hot. Haha! Wandering through the bookstore is one of the things I love most, not sure why I didn’t include in my list, haha. First time here, your blog is gorgeous! Thanks!! Yeah it’s one of my favorite activities ;) That and wandering through Target haha. Truer words have never been spoken, there are so many things to love! OOoh great list!! This was a harder post to do than I thought because there’s soooo many things! And then it’s kind of hard to put into words some of my bookish delights!! We had a lot of the same things on our lists this week (great minds think alike!) I also LOVE uninterrupted reading time, especially on rainy days when I can just cosey up with my book and I am not expected to leave the house at any point! Oooooo I love bookmail! It’s always so exciting to arrive home and see a book shaped parcel and approach it like ‘please have my name on it!!!!! Yes, I love when I have no plans except reading! It’s so nice!! Hahah I couldn’t agree more! Finding a parcel at my door or in my mailbox is the most exciting. Yes! These are all great. Book mail is so much fun. Also when someone loves a book I recommend I am so happy. Great list ladies! YES to all of these! Particularly bookmail (especially when you forget a book is coming) and wandering through the bookstore (I could do that for hours). 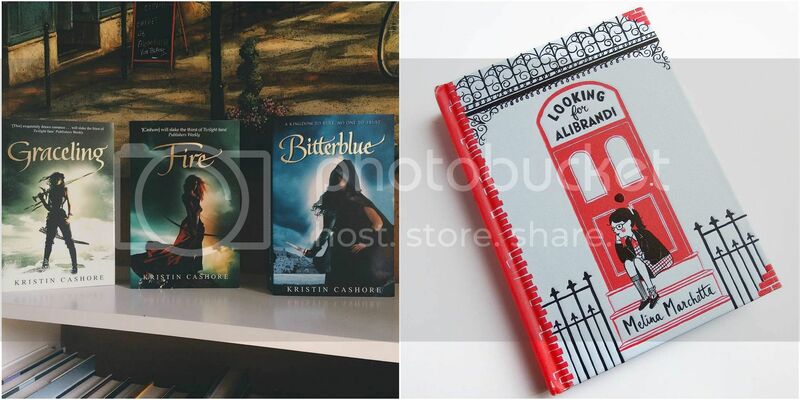 Ooh I love the pic of Kristin Cashore’s books – those editions are gorgeous!! 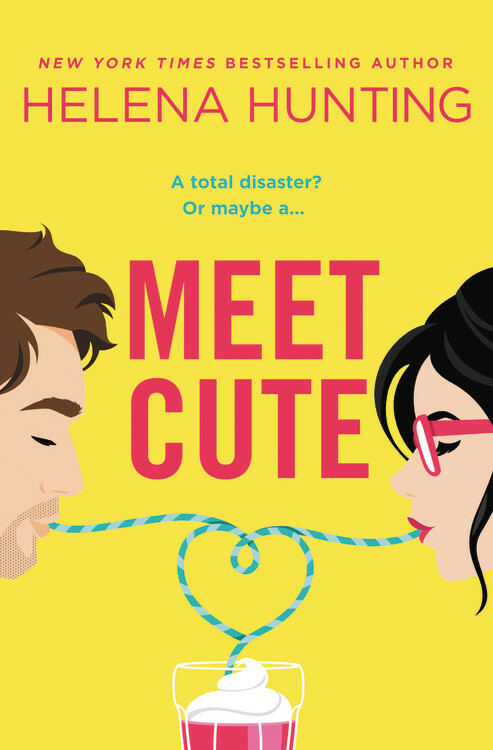 These are great bookish lists, thanks for sharing! Yes! OMG! Yes! To all of these! Someone liking the book you recommended is the best thing ever! So is uninterrupted reading time! oh I love books in the mail. I just recently joined uppercase and it gets me so totally excited every month. I pretty much nodded my head at every single one of these. Book mail def never gets old. Even on the crappiest day, seeing a bright yellow padded envelope at the door changes my entire mood! Also, amen to browsing bookstores! I’ve been going to some amazing used ones lately- nothing beats the smell of books! Never!!! I’m the same way, it always makes me smile :) That sounds like a lot of fun, I need to find some used bookstores near me! A new indie opened in town so that’s been fun to wander. Wandering a bookstore is one of the best things, ever. I love it when you find that book you have had your eye on, or you discover a book that escaped through your radar. SO wonderful!